As a youngster, trying to find his place in life, a quirky flying squirrel realizes he is able to adapt with chickens after being plucked from a pickle barrel. Abandoned by his mom and dad, he is taken 'under the wing' of a rooster, eventually striking out in search of his true squirrel identity. He finds himself once again adapting, this time with a family of humans. And so the adventure begins... As mother/daughter team, Norma Mullican and Missy Zivney have written a children's book that everyone is sure to enjoy. Norma and her husband, Mike, live in Montalba, Texas where they own and operate a wedding venue. Together they have two children and six grandchildren. Pets include their puppy dog and "Rooster" the flying squirrel. Missy and her husband, Chris, along with their four children, live in Whitehouse, Texas. Missy has a degree in Deaf Education with an endorsement in early childhood. She is currently the Children's Minister at Pleasant Hill Baptist Church in Tyler, Texas. Together, they have combined their life experiences and love of children into a heartfelt book, filled with difficult decisions to help children understand how to cope with everyday situations they may encounter. 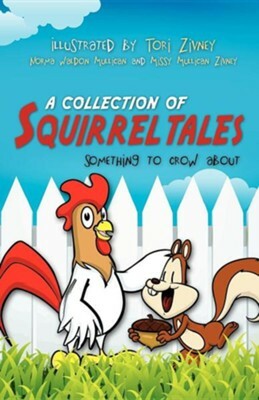 I'm the author/artist and I want to review A Collection of Squirrel Tales.